What Is Expected of a Bail Bond Co-Signer? Similar to how applications for an apartment or a home may need a co-signer, bail bond applications from Fresno Bail Bond Store typically require a co-signer. A co-signer can be a friend, family member, or colleague. Basically, anyone who “checks out” with the bail bond company. Bail bonds need a co-signer who will essentially sign an agreement saying they will pay for the bail bond if the defendant, who the bail bond is for, fails to make their payments and fails to show up for court. 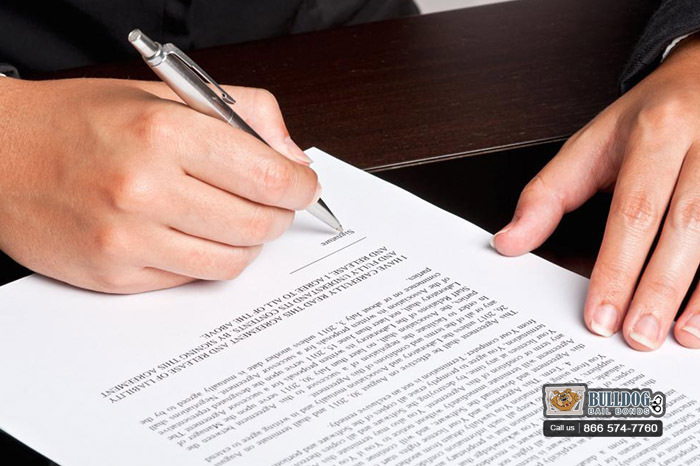 Being a bail bond co-signer takes a large amount of responsibility. It also requires strong trust and faith in the defendant. If a potential bail bond co-signer has a strong feeling that their friend, the defendant, would skip court, then they should not agree to be a co-signer. Before agreeing to be a bail bond co-signer, the person can request certain stipulations first, like asking that the defendant undergoes a mental health evaluation or attends a rehab program. Once a person is a co-signer, they should take it upon themselves to ensure the defendant shows up for court, even if that means literally picking them up and driving them. If the co-signer has concerns that the defendant may not show up for court and will flee, then they can contact the bail bond company, who will conduct an investigation and work with the client to resolve any issues. A bail bond co-signer cannot be just anyone. This person would need to “check out” with the bail bond company. They need to show proof of United States citizenship, stable employment, and sufficient credit. They must also have lived in the same area for a predetermined amount of time. A bail bond co-signer can be a friend, family member, colleague, etc., as long as they meet those and any other requirements. If you are considering being a bail bond co-signer for your loved one, talk to Fresno Bail Bond Store first so you get a clear understanding of what is required of you. Fresno Bail Bond Store can be reached anytime online and at 1-866-574-7760.